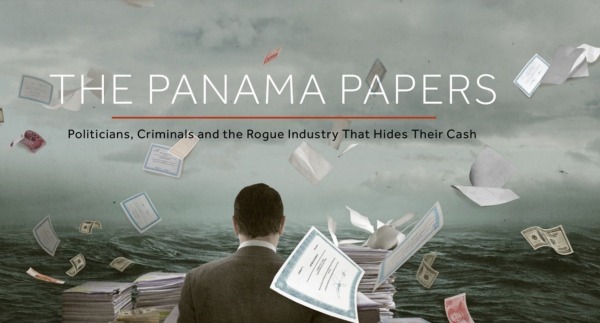 The HUGE news this week is the Panama Papers leak, a massive cache of 11.5 million documents leaked to a German Newspaper (Süddeutsche Zeitung) in August 2015. It’s one of the most significant data leaks of all time and Edward Snowden has labelled it as “the biggest leak in the history of data journalism”. It’s also pretty huge at about 2.6TB of data, was leaked anonymously without any payment and goes all the way back to the 1970s. The documents show how wealthy public officials hide their money and identify current government leaders from five countries – Argentina, Iceland, Saudi Arabia, Ukraine, and the United Arab Emirates – as well as government officials, close relatives, and close associates of various heads of government of more than forty other countries, including Brazil, the People’s Republic of China, Peru, France, India, Malaysia, Mexico, Pakistan, Romania, Russia, South Africa, Spain, Syria, and the United Kingdom. But the ripples are already kicking in, with the PM of Iceland resigning and a lot of others countries, organisations (including FIFA) and political families finding themselves in hot water. Iceland’s prime minister has stepped down – the first major casualty of the leaked Panama Papers that have shone a spotlight on offshore finance. The leaks, from Panama-based law firm Mossack Fonseca, showed Sigmundur Gunnlaugsson owned an offshore company with his wife but had not declared it when he entered parliament. He is accused of concealing millions of dollars’ worth of family assets. Mr Gunnlaugsson says he sold his shares to his wife and denies any wrongdoing. Yah sold to his wife for $1, convenient right? There’s all kinds of other reactions too with France adding Panama back to the list of countries that doesn’t comply with tax, China completely censoring all mentions of the Panama Papers country-wide and the head of the anti-corruption watchdog in Chile also stepping down after being implicated (ironic much?). Plenty of other scandals are dropping out of the docs too as they get investigated further and linked together, tracing links between complex multi-layer, multi-country financial transactions. Thirty three of its clients have been blacklisted by the US government for allegedly doing business with Mexican drug lords, terrorist organisations and “rogue nations” like North Korea and Iran. Its files have unearthed a secret, shady $2 billion (£1.3 billion) trail of money that leads to Vladimir Putin. One of its clients played a crucial role in the Watergate scandal. Another was convicted for the torture and murder of a US drug enforcement agent. Mossack Fonseca appears to have claimed that the hack happened on their e-mail server, which makes me wonder – what kind of e-mail server do they have that stores 11.5 million documents? And documents going all the way back to the 1970s? That’s one hell of an e-mail server. There’s definitely going to be a lot of articles written about this, a lot of discussions on this and much more to come as the ICIJ haven’t even gone through ALL the documents yet. There may be further implications coming soon. For now, it’s an interesting drama to watch unfold. And you did not even mention Idalécio de Castro Rodrigues de Oliveira, he is a Portuguese corporate executive who, according to Brazil’s attorney general, supplied money that was paid as a suspected bribe to Eduardo Cunha, the president of Brazil’s Chamber of Deputies, currently under indictment for alleged corruption. Eduardo Cunha is also being accused of demand and receive at least US$5 million in bribes from a contract with Petrobras company, which is involved in one of the biggest corruption scandals in congress and presidential level. Now comes the interesting part, Eduardo Cunha is part of the Commission which is evaluating the request for impeachment of the President of Brazil Dilma Rousseff. This world is literally lost! No, it’s not, you can easily fit 10-20 millions of email on a single email server.